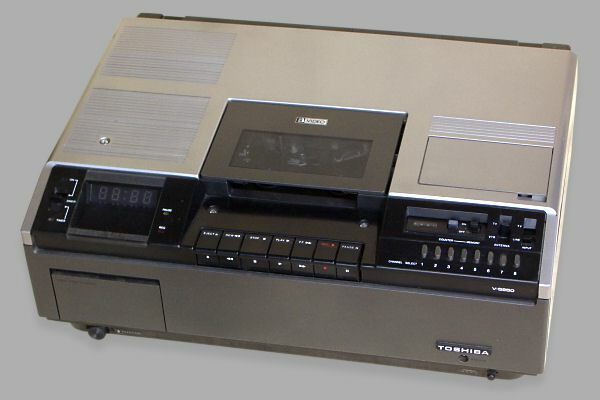 Tuner controls The V-5250 was the first Betamax model produced by Toshiba and was a clone of Sony's SL-8000 model. It was one of the so called 'piano key' early models. It was a very advanced VCR in its day. 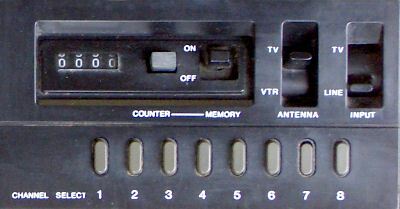 The model shown here is the Australian version having a VHF TV output module fitted for Ch1 with Ch0 being another module option. At the rear of the machine it has video inputs and outputs via BNC connectors and audio in/out via RCA connectors. 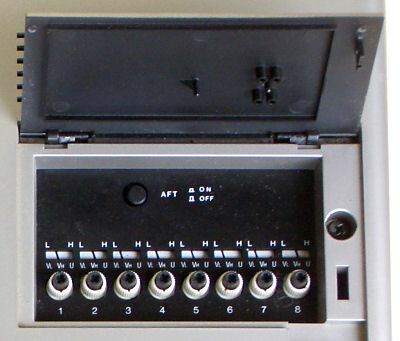 It also has a mains voltage selector. 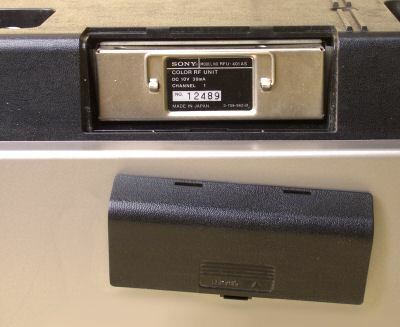 The V-5250 was a very basic VCR. It had no cue/review controls but did have pause, albeit with muted video. 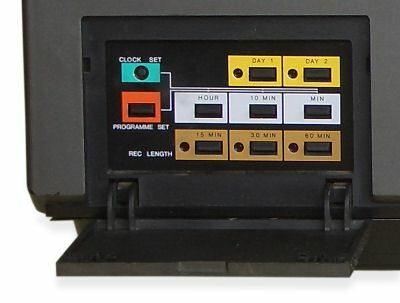 It did have a mechanical tape counter as well as a one event timer. Our thanks go to Noel Higgins for supplying the information on this model.